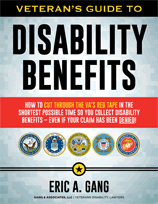 For any disabled veteran seeking VA disability benefits, the first step in the appeals process, once a claimant receives an adverse decision, is to file a Notice of Disagreement (“NOD”). The filing of an NOD is required to begin the appeal process. See 38 C.F.R. § 20.201 (2012). The NOD is defined as a “written communication from a claimant or his or her representative expressing dissatisfaction or disagreement with an adjudicative determination by the agency or original jurisdiction and a desire to contest the result.” 38 C.F.R. § 20.201 (2012). The terms of the NOD must be ones that “can be reasonably construed as expressing disagreement with that determination and a desire for appellate review.” Id. The claimant cannot simply express disagreement. He must indicate a desire to seek appellate review. The requirement that the NOD express a desire for appellate review was upheld in Gallegos v. Principi, 283 F.3d 1309 (Fed. Cir. 2002), cert. denied, 537 U.S. 1701 (2002). Historically, there was no VA form for an NOD and the Court has applied a liberal reading to the correspondence of claimants. As such, there was no specific language so long as it expressed disagreement and an intent to seek appellate review. But all of this has changed to some extent with the VA’s adoption of new regulations and new required forms. Claimants now must use the VA Form 21-0958, which is a form Notice of Disagreement. As a veterans disability lawyer I have significant concerns over VA’s requirement that a veteran use a specific form to start a VA appeal. If a veteran has been denied for VA disability benefits, he should not be prejudiced by the inability to obtain the proper form to appeal his VA denial. 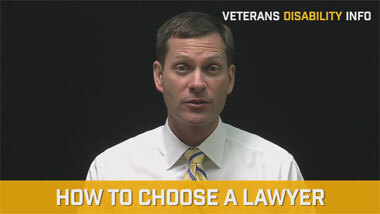 Nevertheless, as a veterans disability attorney, there is some basic advice I would give. If there are multiple issues, the claimant must specifically delineate which of the determinations he disagrees with. 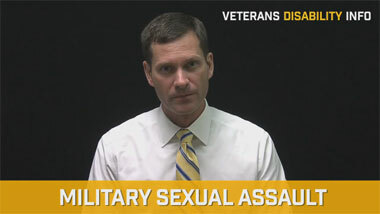 For example, if the rating decision denied claims for PTSD, a low back disorder, and bilateral hearing loss, and the veteran only wanted to appeal the PTSD claim, he must specifically indicate that he wants to appeal only the PTSD claim. The claimant must file the NOD with the VA office that sent the notice of the decision. See 38 C.F.R. § 7105. If the claimant’s case has been transferred to another regional office, then the claimant must file his NOD with the RO that has jurisdiction over the file. See 38 C.F.R. § 20.300 (2012). If there was a denial relative to entitlement to treatment from a VA medical facility, then the claimant should send his NOD to the VA medical center that made the determination with a copy to the appropriate RO. The deadline to file the NOD is one year. This means that a claimant must file his NOD within one year from the date that the VA mailed notice of the unfavorable decision. The date on the notice letter is considered the date of mailing. In practice, do not wait until the last day of the one-year period to file the NOD. As noted in 38 U.S.C. § 7105(b)(1), the postmark determines the date of filing. So long as the NOD is postmarked on or before the expiration of the one-year period, it will be considered timely. When calculating the time, the first day is excluded and the last day included. Like many other filing deadlines in other venues, if the due date follows on a Saturday, Sunday or legal holiday, the deadline would be the next business day. See 38 C.F.R. § 20.305(b). In addition, the common law mailbox rule applies when assessing the timeliness of the filing of an NOD. With respect to the common law mailbox rule, the Federal Circuit observed that a letter proven to be either placed in the post office or delivered to the postman is presumed to have reached its destination in the normal course of business of the post office. See Savitz v. Peake, 519 F.3d 1312, 1315 (Fed. Cir. 2008). It is very important that the NOD be filed on time. If the claimant misses the deadline, the adverse decision becomes final. If the decision becomes final, the claimant must file a reopened claim with the RO, and under these circumstances, the effective date of any subsequent award would be the date the VA received the re-filed claim. There is an exception to the one-year requirement. If there are simultaneously-contested claims, then there is a 60-day deadline. Simultaneously-contested claims are where opposing claimants are competing for the same benefits. Another example would be an adverse fee determination wherein VA refuses to withhold the 20 percent legal fee. Identify the exact adverse decision being appealed. For example, the “April 15, 2012 rating decision”. It is important to use broad language when drafting an NOD. Language that is too specific could negate any inferred issues or other issues reasonably raised by the evidence of record but not specifically mentioned. It is also a good idea to request de novo review by a decision review officer. Once the NOD is filed and the appeal process started, it is advantageous to submit argument and additional evidence. Typically, as attorney advocates we are getting involved in claims after the NOD is filed, and the claims files have not been developed properly. As such, a comprehensive review of the file should be done, and then additional evidence obtained. The type of evidence needed is usually determined by the reason for the initial denial. For instance, if the service medical records establish an in-service event and the veteran has a current disability, then the VA denial would be predicated on the absence of a medical nexus. Accordingly, the advocate should obtain the appropriate expert medical opinion on the nexus issue. The additional evidence should be submitted with argument. Persuasive argument and additional evidence could result in VA changing the denial to a grant of benefits. If a veteran has been denied compensation benefits and he would like to begin a VA appeal, then the first step is the Notice of Disagreement. If a claimant is uncertain about how to proceed, then we would encourage him to contact a VA appeals lawyer to assist him in winning VA disability benefits.